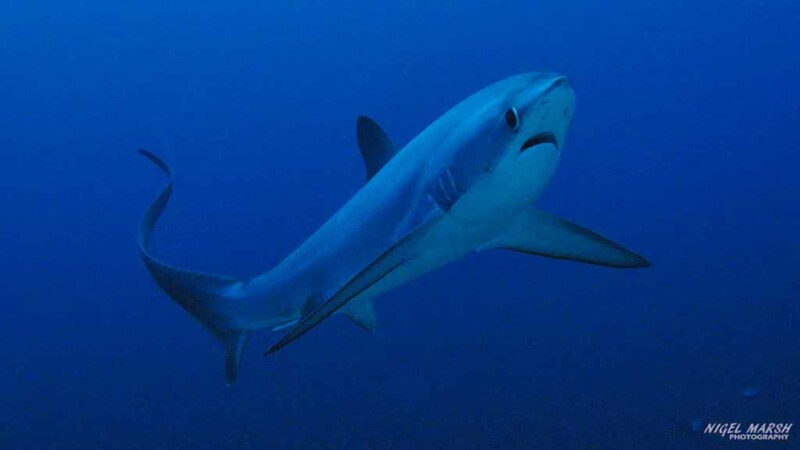 Most divers head to the Philippines island of Malapascua to see one animal – a pelagic thresher shark. Malapascua is the best place in the world for divers to encounter these graceful and rarely seen deep water sharks, but this wonderful island offers so much more. Located off the northern end of Cebu, Malapascua is a small picture-postcard island with white sandy beaches, palm trees and fringing reefs. While surrounded by coral gardens, Malapascua didn’t attract interest from divers until a population of pelagic thresher sharks was found at nearby Monad Shoal in the early 1990s. Since then dozens of resorts and dive centres have been established on Malapascua, taking divers to see the sharks and the diverse marine life around this magic island. The pelagic thresher sharks are seen at dawn each day, which leaves the rest of the day free for divers to explore the other attractions in the area. Around Malapascua are pretty coral gardens where divers will see a wide variety of reef fish, seahorses, and even mandarin fish. But this special island also has sand and rubble, also known as muck, where divers can see some amazing critters. 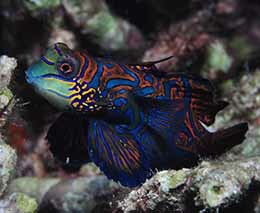 The dive operators on Malapascua also explore the nearby islands and reefs. 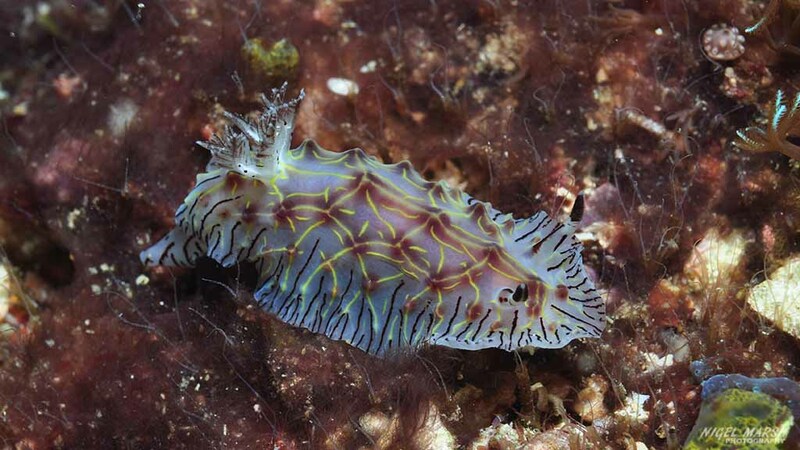 One of the most famous of these is Gato Island, which has a fabulous cave cutting right through the island and is home to an incredible variety of nudibranchs. 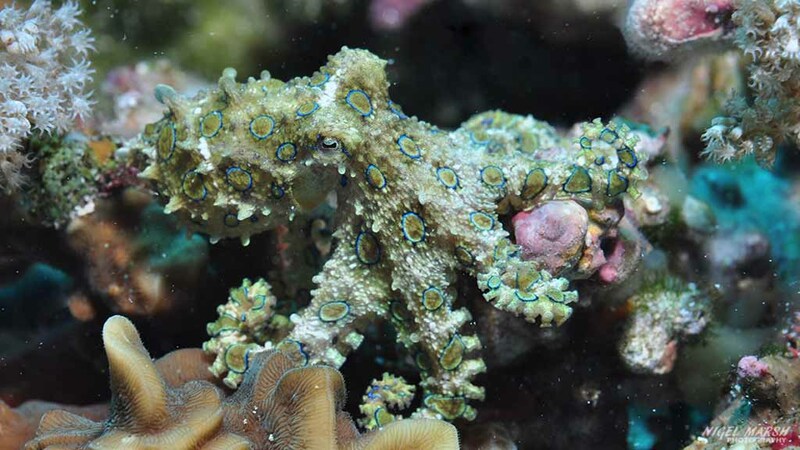 At other islands and shoals, divers can see everything from manta rays and hammerhead sharks to tiny pygmy seahorses and blue-ringed octopus. 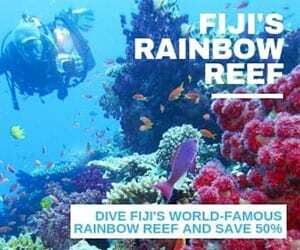 And for divers into shipwrecks, there are several Japanese cargo ships sunk during the war and an inter-island ferry that is now covered in corals and swarming with fish. Most divers are lured to Malapascua to encounter pelagic thresher sharks, but all leave with memories of the area’s beautiful reefs and diverse marine life. 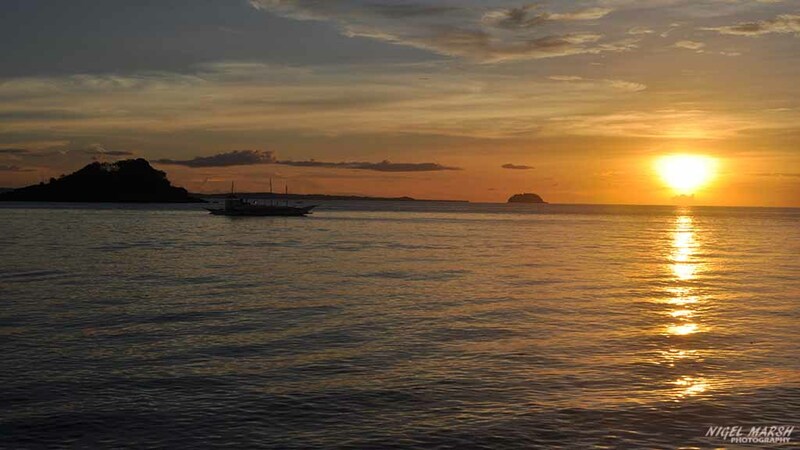 Malapascua is located off the northern tip of Cebu in the Visayan Sea. 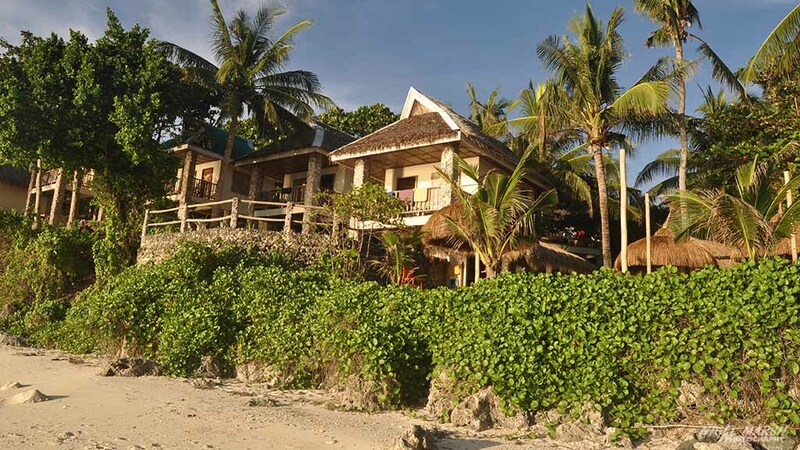 Malapascua is almost overrun with resorts, dive operators and dive resorts, so your choice of where to stay and who to dive with is almost unlimited. All the dive operators visit Monad Shoal each day at dawn, so most open around 4am. For the rest of the day they offer day trips to Gato Island or one of the other nearby islands, or local dives around Malapascua. 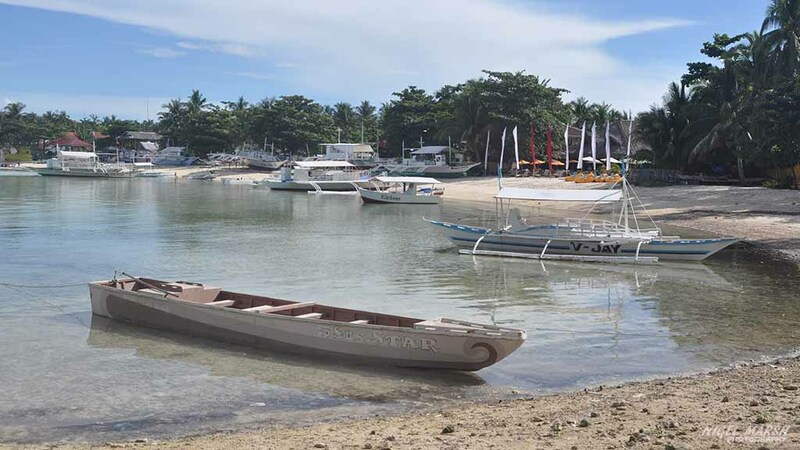 Like other parts of the Philippines, most of the diving is off traditional style banca boats, that are generally a little slow, but very spacious and great to dive from. Malapascua really is a destination with something for everyone, as this lovely island has reefs, caves, seamounts, muck, shipwrecks and of course sharks. The area’s most famous dive site is Monad Shoal, where pelagic thresher sharks rise from the depths at dawn to get cleaned. 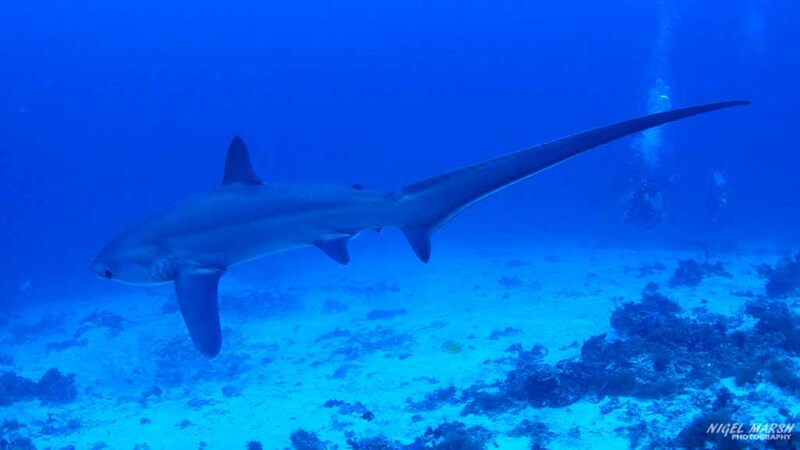 While the threshers are the big attraction, Monad Shoal is also visited by pelagic fish, manta rays, eagle rays, reef sharks and even schools of scalloped hammerheads. There are other shoals in the area that are less frequently dived, but are also a good spot to see pelagic fish, rays and sharks. 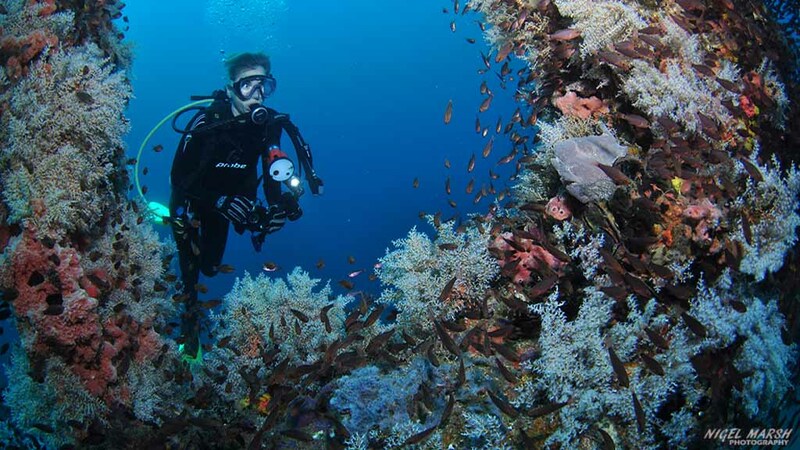 Around Malapascua are pretty reef dives in depths from 15m to 25m. Some of these reef sites are swept by currents, so have a rich coverage of soft corals, but more sheltered sites have lovely hard corals. Beyond these reefs are sand and rubble where divers will find muck critters. Diving around Malapascua divers will see nudibranchs, morays, frogfish, Coleman shrimps, mantis shrimps and a good range of reef fish. 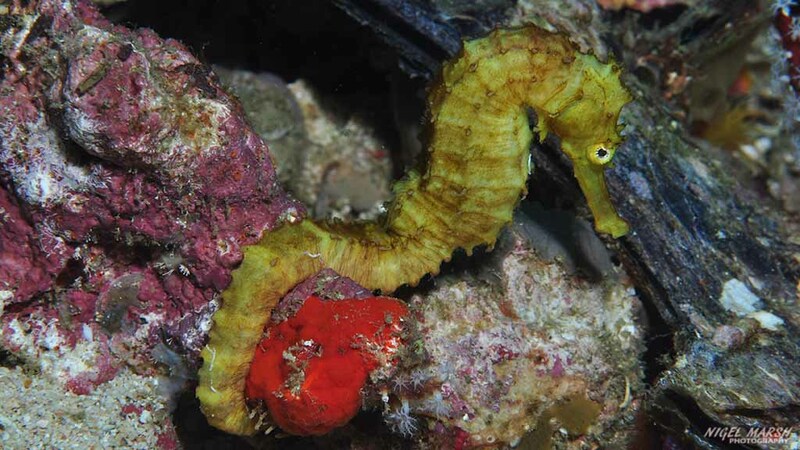 Night dives at Lighthouse Reef are popular to see the mating antics of mandarinfish, but this site is also home to seahorses and many other critters. 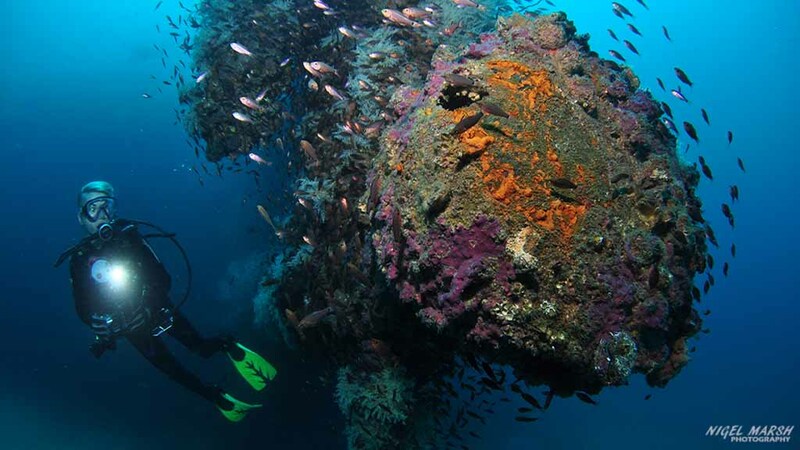 On day trips from Malapascua divers can explore shipwrecks. The most popular shipwreck is the Dona Marilyn, and inter-island ferry, but there are also a number of Japanese cargo ships that were sunk in the Second World War. Another popular day trip is Gato Island. This small rocky island has lovely corals and a huge population of nudibranchs. 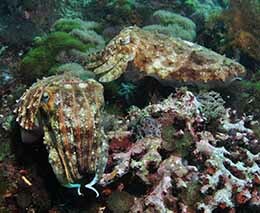 But also seen at Gato Island are turtles, cuttlefish, octopus, seahorses and bamboo sharks. Gato Island also has a 30m long cave that runs right through the island. Other day trips explore Chocolate Island and Calanggaman Island. 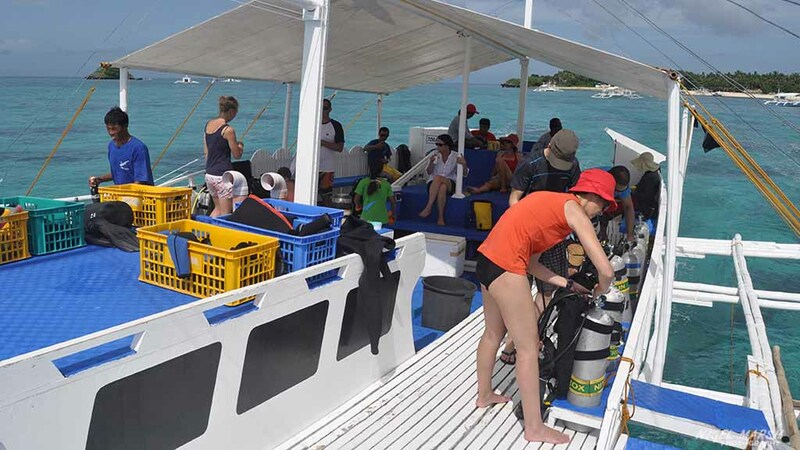 Diving conditions are good year round at Malapascua, with the visibility typically 15 to 30m at most sites. Water temperatures vary from 26 to 30°C, so a 3mm wetsuit is all you will need year round. 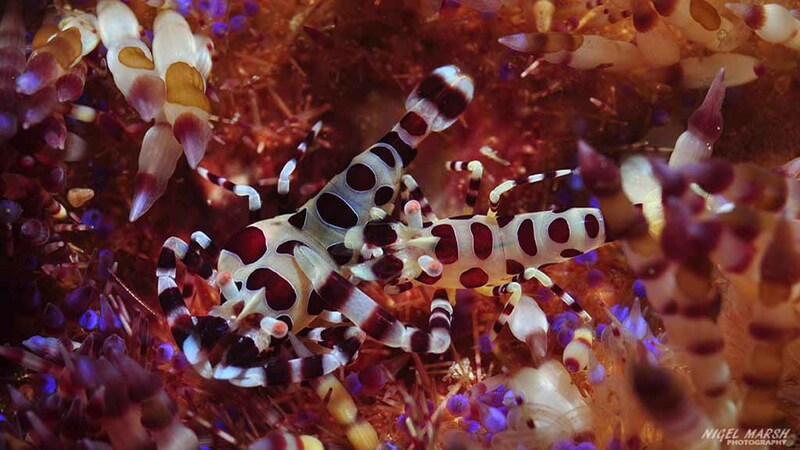 Malapascua has such a wide variety of dive sites that it would take over a month to explore them all. Most of the resorts and dive operators are located at the southern end of Malapascua, and there are quite a few to choose from. 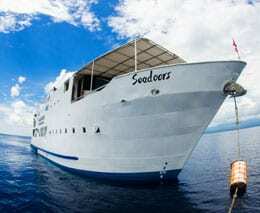 Most offer package deals on diving and accommodation, so you can shop around to find one that suits your taste and budget. If you want to be more isolated, there are more secluded resorts at the northern end of the island. 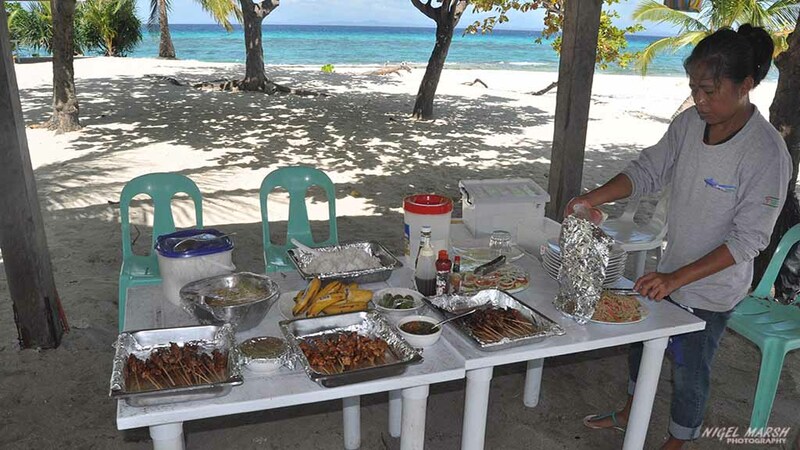 Malapascua has a good range of restaurants and cafes, some are located in resorts, some are associated with dive shops and some are independent. A wide range of food is available at these restaurants, as most have a good selection of western and Asian cuisine. If you are after a great pizza or pasta meal then it is hard to go pass Angelina Beach Pizzeria Ristorante Italiano. Those after a filling pub meal, try Oscar’s Restaurant and Pub. Although there is a small network of roads on Malapascua, most people get around the island by walking. Another convenient option to get around the island is to hire a boat. The great majority of people that come to Malapascua are divers, and after a 4am start the most popular activity enjoyed on the island is sleeping. However, it is possible to do other water sports on Malapascua such as windsurfing, kayaking and even surfing. Beach volleyball is also a popular. For a bit of culture you can visit one of the local villages, many of the locals work at the resorts and dive shops, but others survive by fishing and farming. 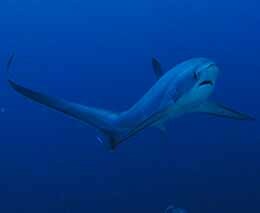 To get the best from your thresher shark dives try to get away from a large group of divers. The sharks are very wary and don’t like explosions of bubbles, so slow your breathing right down and you will be surprised at how close they get. The closest airport to Malapascua is at Cebu City. This busy airport is serviced by both international flights from across Asia and domestic flights from across the Philippines. To get to Malapascua you can get your dive operator to organize a car and boat transfer, which will take around 3 to 4 hours. Or if on a very tight budget or just a little more adventures, you can catch a local bus to Maya and then catch the public boat across to the island, allow around 6 hours.